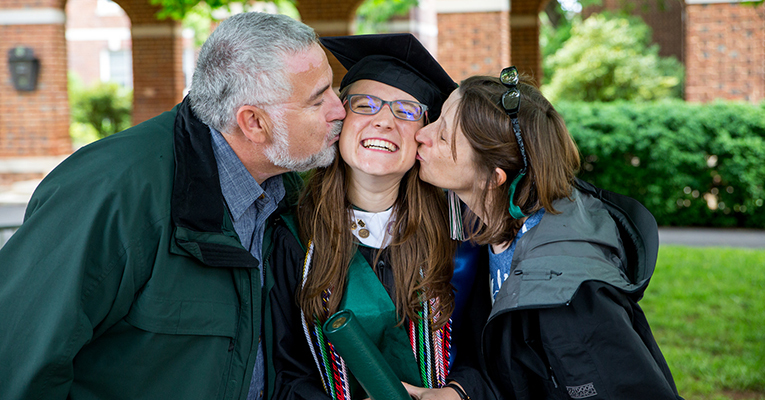 Sweet Briar College is reinventing the traditional organizational model for a liberal arts education and changing the business model for college affordability. Over the summer, a faculty-led academic initiatives task force developed a proposal for three curricular changes. The first adopts a core curriculum with a focus on women’s leadership. Another reorganizes academic departments around three interdisciplinary “centers of excellence” dedicated to solving contemporary problems. Finally, the academic calendar will move from 15-week semesters to a 3-12-12-3-week schedule to incorporate short terms dedicated to experiential learning opportunities such as research, internships and study abroad. Every undergraduate student will be eligible for up to $2,000 to fund these experiences. “Sweet Briar is in a unique position to redefine affordable private higher education that is relevant for today’s global society and delivers excellent outcomes,” says Meredith Woo, who took office in May and will be inaugurated as the College’s 13th president on Sept 22. The changes, proposed for the 2018-2019 academic year, will be accompanied by a comprehensive cost “reset” of tuition, room, board and fees to $34,000. Woo believes the current system of offsetting ever-increasing tuition is broken. The comprehensive cost structure — a 32 percent reduction from the “sticker price” for 2017-2018 — results from careful analysis and makes a Sweet Briar education competitive with selective public universities in Virginia, and highly competitive with out-of-state tuition rates. It breaks down as $21,000 for tuition and fees, $7,000 for room and $6,000 for board. The plan provides cost transparency and predictability for families of all income levels. Need-based financial aid will continue, and more than 200 scholarships are available for those who are eligible. The revised leadership core curriculum consists of 10 to 12 integrated courses that refocus Sweet Briar’s general education requirements on its greatest strength: developing “women of consequence.” They will become exemplary leaders who take charge of the complex world around them with confidence, courage and agility. Proposals from faculty include a first-year research experience, ethics of leadership, financial literacy, rhetoric and communication, and a capstone requirement. The new plans also realign the academic programs. Instead of traditional departments, faculty and majors will be clustered around the three centers: Engineering, Science and Technology in Society; Human and Environmental Sustainability; and Creativity, Design and the Arts. These are formed where the disciplines naturally intersect — creating a space for interdisciplinary collaboration without structural barriers. The first “anticipates the shape of the future through technology, inventing, for instance, what we are calling ‘next media’™ — that which can be imagined perhaps only by the young,” Woo says. The second examines human and environmental sustainability. It will do so through the varied lenses of archaeology, anthropology, history, biology, environmental sciences and engineering by asking age-old questions in new ways, understanding new problems and, side-by-side with students, finding solutions. The third capitalizes on Sweet Briar’s proven excellence in the arts and the collaborative opportunities afforded by the Virginia Center for the Creative Arts. The VCCA is one of the leading residential colonies for working artists in the world — and its main campus lies next to Sweet Briar’s. 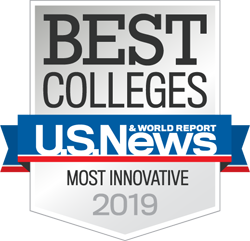 “These centers of excellence and the leadership core will be among the reasons why students will choose to attend Sweet Briar over other liberal arts schools,” Woo says. “At the heart of these changes are our brilliant faculty who are great teachers and communicators unshakably committed to Sweet Briar. Our students graduate career-ready and life-ready. For more information, please visit sbc.edu/reset.